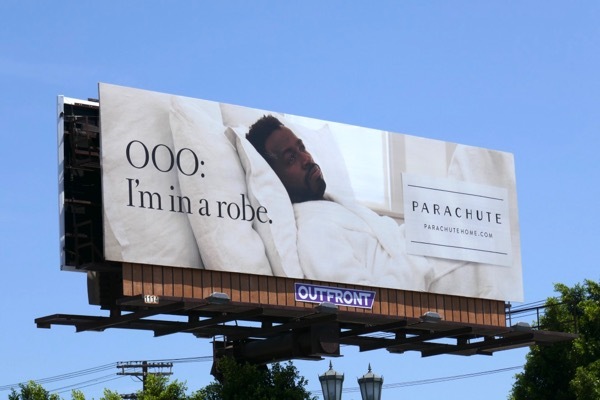 You can imagine it can be hard to convey how bed and bath linen feel without being able to touch them, but these billboards for Parachute Home do a great job of making you want to dive right in. 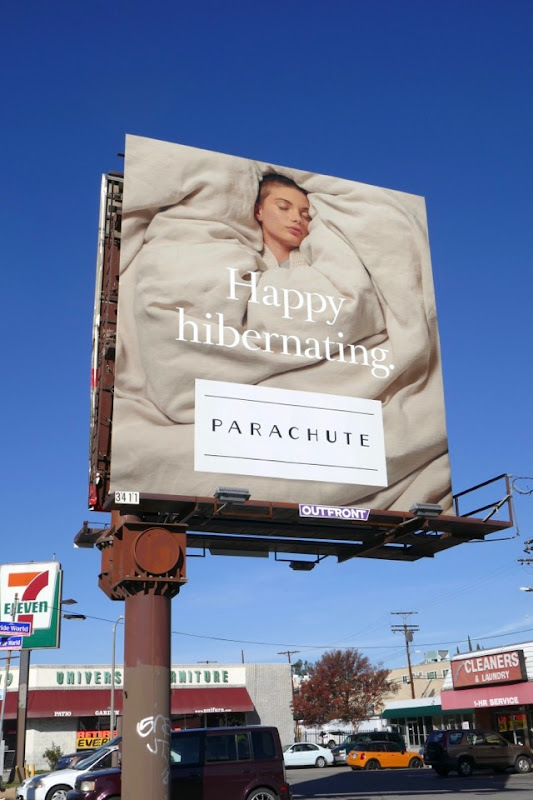 These outdoor ads filling the summer skyline look indulgent and feel inviting, they make you want to curl up in the crisp, fresh sheets and never wake up. 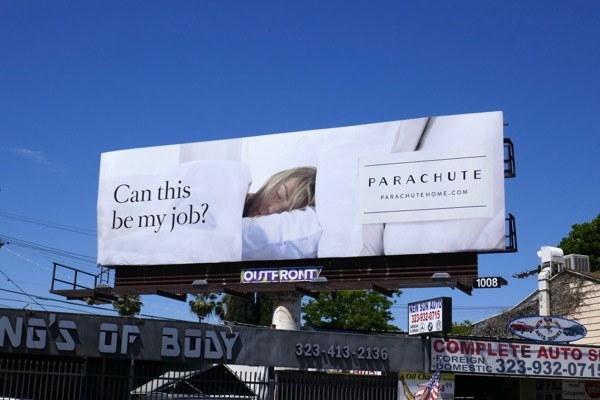 Plus we can all relate to wanting to have lie in, be it on a work day or at the weekend, when sleep is even more welcome. 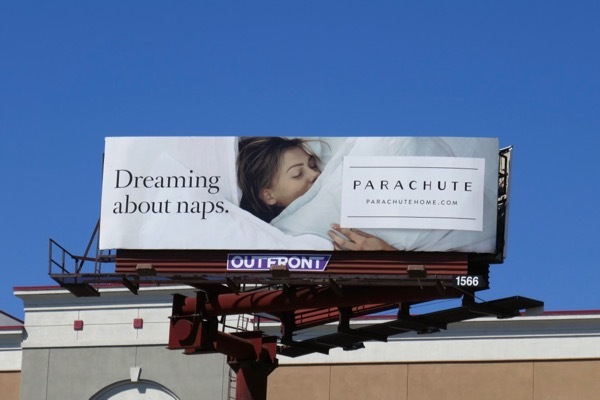 And when was the last time you wanted to skip the gym, or an exercise class, for more time relaxing in bed? 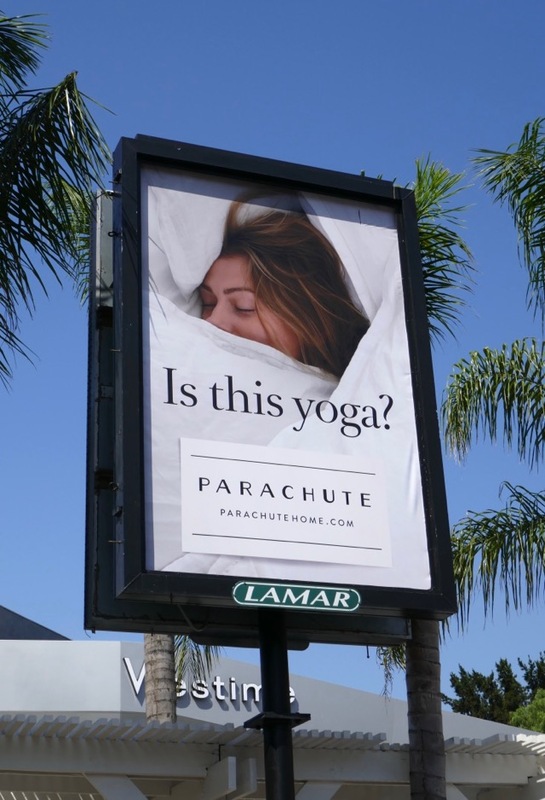 This cohesive Parachute outdoor ad campaign was photographed around the streets of L.A., including along Westwood Boulevard, Pico Boulevard, 3rd Street, Olympic Boulevard, Melrose Avenue and the Sunset Strip from July 4 to August 1, 2018. 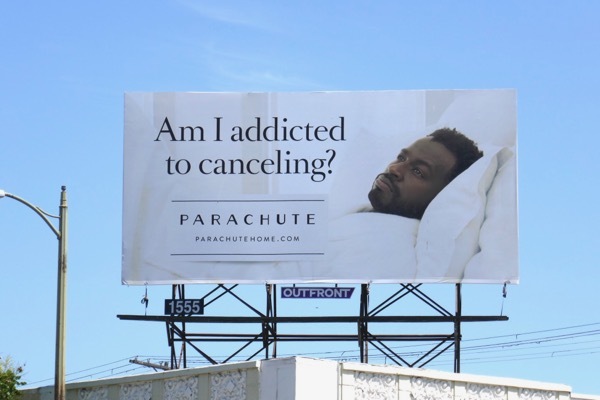 You can also relate to some of the people in these witty ads, are you one of those people who cancels at the last minute, or do you have a friend that's always late? Maybe now you know the real reason. 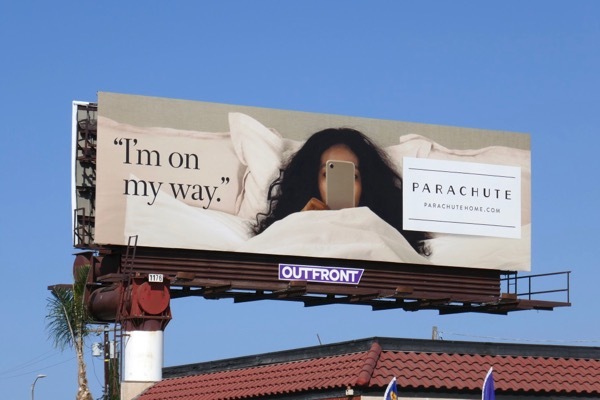 Sheets and towels have never seem so desirable and relevant, and the good news is, you don't even have to leave your bed to order them online. It's a win-win situation. 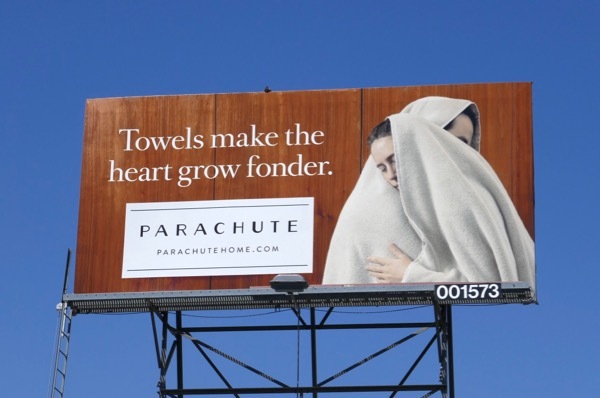 UPDATED: Here's also a follow-up ad campaign for Parachute Home, perfect for the winter months. 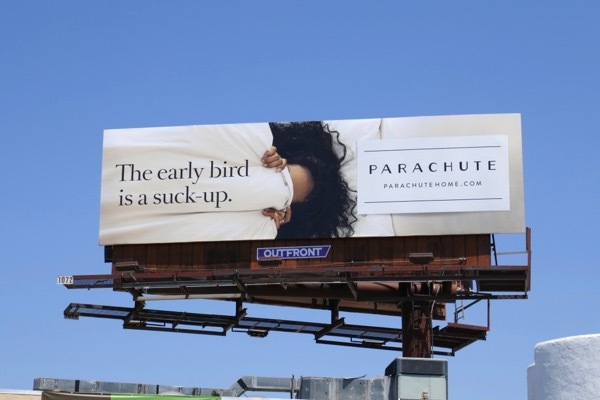 These billboards were spied along Sunset Boulevard and Ventura Boulevard from November 15 to December 1, 2018. 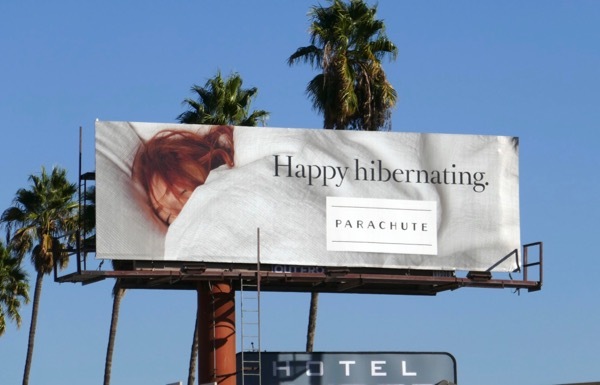 'Happy hibernating', indeed.